St Clair is located 39 kilometres west of the Sydney CBD in the local government area of Penrith City Council. Currently the median sales price of houses in the area is $720,000, with 79.3% of homes being owner occupied. The size of St Clair is approximately 7.2 square kilometres. It has 19 parks covering nearly 9.5% of the total area. The population of St Clair, recorded from the 2016 Census was 19,892. The predominant age group in St Clair is 20-29 years old. Households in St Clair are primarily couples with children and are likely to be repaying $1800 – $2399 per month on mortgage repayments. In general, the majority of people in St Clair work in a clerical occupation. 52.9% Couples with Children living at home, 28.4% Couples with no children living at home, 17.5% Single Parents, 1.1% Other. Traditionally, the area was inhabited by the indigenous Dharug people. The area was formerly part of a larger area named South Creek. It was later, unofficially, known as South St Marys, with the southern section being named Erskine Park. The original site of St Clair was once part of Chatsworth Nursery, a branch of Darling Nursery, which had been established in 1827 during the reign of King George IV. The owner Thomas Shepherd developed an irrigation system utilizing water from Eastern Creek and a large portion of the area was covered with Camelia orchards. The nursery, known for its camellias, was moved to Colyton and existed until the end of the 19th century. The area remained largely rural until a new housing development in the 1970s. The name “St Clair” has no historical links with the area. It was the name given to a residential housing development established in 1970 by the Latex Finance Company, a subsidiary of the Cambridge Finance Company which went bankrupt in the year 1976. The Land Commission of New South Wales acquired the land after a bankruptcy declaration and extended the area to create a large suburb. The Geographical Names Board of New South Wales eventually made the decision in late 1981 to divide the area into two separate suburbs named St Clair and Erskine Park, rather than call the whole area Erskine Park as many people had desired. Its population has soared since 1981 and is now a well established suburb with modern facilities with close access to the M4 Motorway and shopping centre. The suburb has one public high school which is located on Endeavour Avenue, named St Clair High School. Private high schools near St Clair include Emmaus Catholic College and Mamre Anglican School. Primary schools in and around St Clair include St Clair Public School, Banks Drive Public School, Blackwell Public School, Clairgate Public School, Trinity and Holy Spirit Catholic School. Assured Lending Mortgage Brokers have an office based in St Clair & are available until 7pm weeknights and 4pm Saturdays. All services provides are completely cost & obligation free. 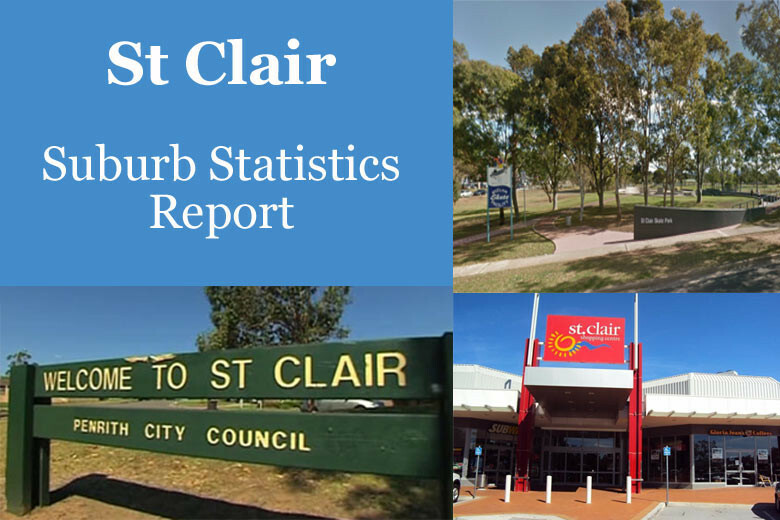 Click here to download the full 20 page St Clair Suburb Report as a pdf.